Beautiful work if you can get it! 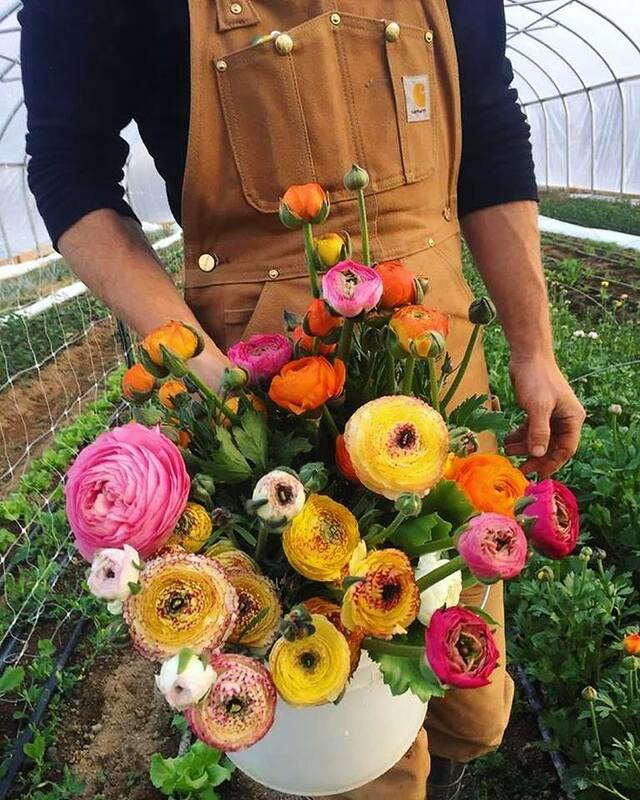 Ranunculus produce rose-clustered, bright flower heads. A bed of Ranunculus will give you a long, rich profusion of densely packed colour. The flower heads can appear to float on their own as the stems are thin and long. Ranunculus flowers are also a favourite for cutting and arranging indoors. Ranunculus can be planted out as bulbs or as plug plants in the autumn. The name derives from range, which is the Latin for ‘frog’ – possibly because Ranunculus grow in cool and moist conditions, companions for frogs. The foliage is also delicate and abundant. Moist, fairly friable soil in a cool shady border is ideal for planting bulbs or plug plants – plants can also be grown on in a pot kept in a cold frame over the winter. Bulbs and plants grown from seed need to be grown in a location where the soil won’t freeze. The soil pH is not a crucial factor. A concentrated ranunculus bed can look spectacular – or in a mixed bed, they will complement other coloured perennials and also bog garden plants. The flowers are prized as florists’ flowers for their intense colours, display longevity and beautiful, pure shapes. Cut flowers when they have fully formed but have not yet opened. After they have flowered and the petals have fallen, the seed head will mature and dry out. You can harvest the seeds by shaking or rubbing the pod. Sow the seeds in trays in the autumn. 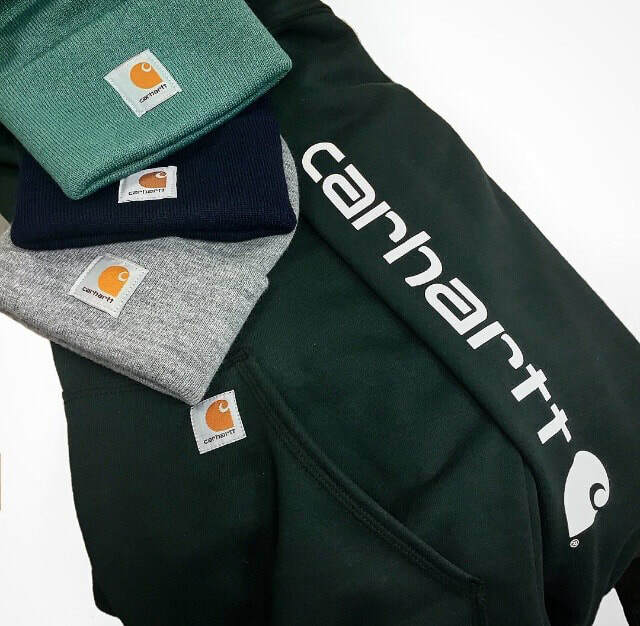 Its freezing out❄️❄️❄️stay warm in the Carhartt Berwick Jacket. Oh I do like to be beside the seaside.. Ocean clothing is a Danish brand manufacturing waterproof clothing for both work and leisure. The yellow jacket pictured is our best seller at just £19.95, perfect for work or leisure and for what ever the weather throws at you!! Now that the weather is warming up you can now cast your layers but stay on trend with the addition of the Brookville vest! 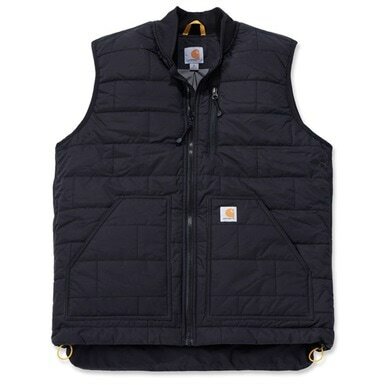 Carhartt Brookville Vest is a quilted and water repellent product with a mock neck rib knit collar, finished in a durable nylon fabric. The main seams of this excellent body warmer are triple stitched for maximum durability, and its features a drop-tail construction with an adjustable drawcord waist for a perfect fit. It has two front pockets, in addition to a secure, zip fastened left chest pocket; and two interior pockets. A VERY HAPPY CUSTOMER IN-STORE TODAY! Despite it being a miserable & drizzly day here in St Ives, it didn't dampen one of our valued customer's spirits! 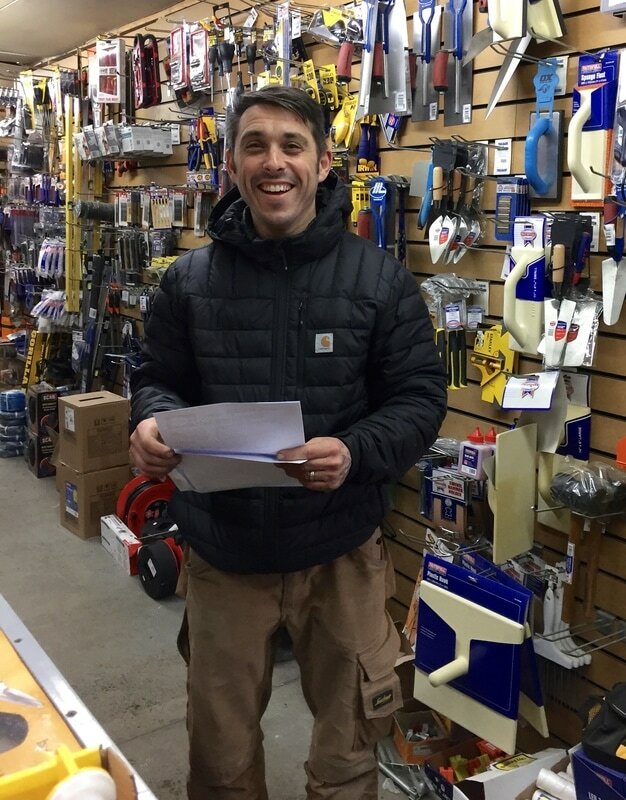 Local tradesman Stephen Hosking was spotted in-store and happy to be working, staying dry in his New Carhartt Northman Jacket. 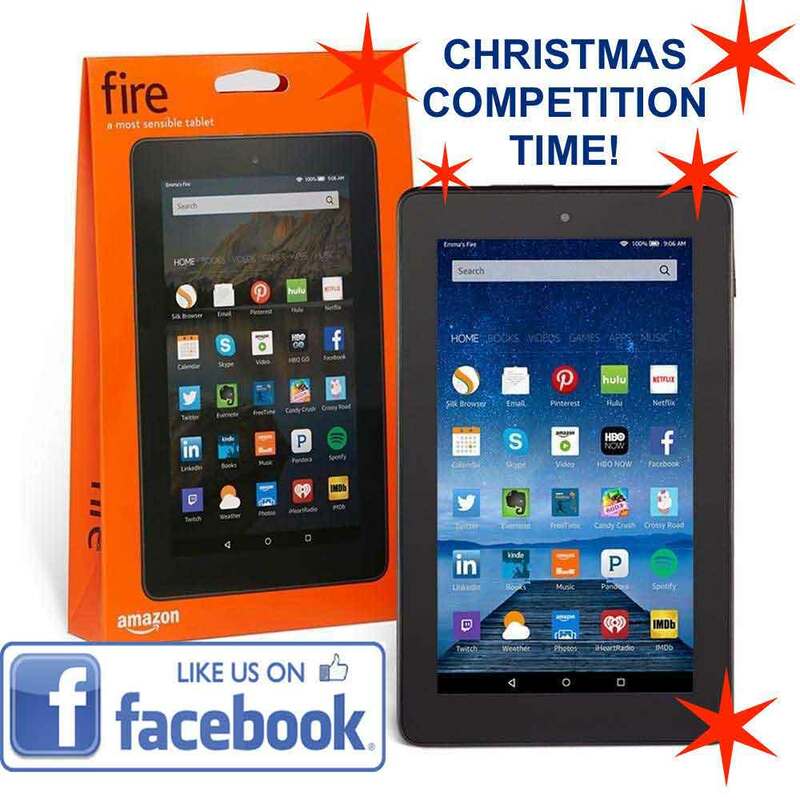 For your chance to win just like our Facebook page & Share post. The giveaway runs until midnight Tuesday 20th December. The winner will be picked at random and announced on Wednesday 21st December with delivery just in time for Christmas!!! 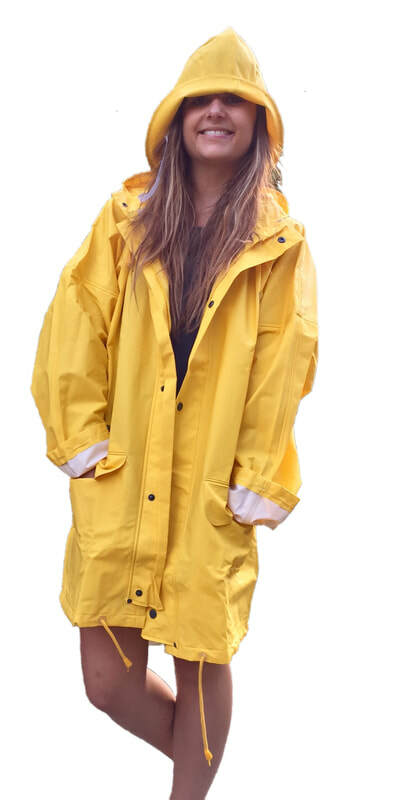 Keep Your Little One's Dry with Ocean Rainwear. These bright, fun yet tough waterproof dungarees from Ocean, Denmark are a perfect choice for outdoor play & school outings. Made from super-soft yet tough eco-friendly PU fabric , they are so comfortable and easy to move in that they make a great choice for protective play, whatever the weather - as well as being guaranteed waterproof, windproof and breathable. Ocean has achieved the stringent Oekotex certification, and are guaranteed to be manufactured using only ecologically safe substances. 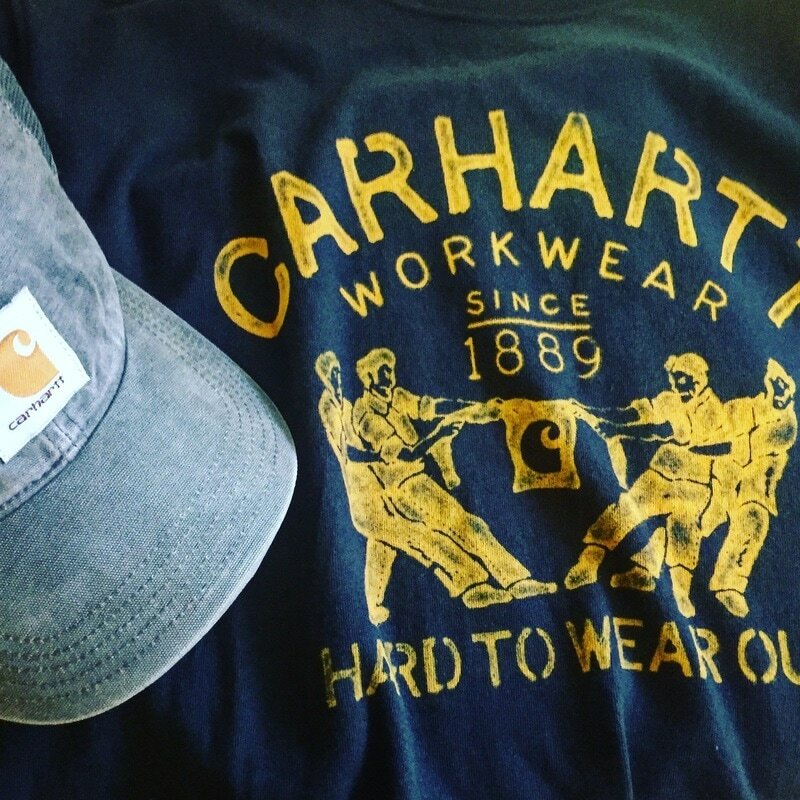 The legendary Carhartt Chore Coat was introduced in 1923. It remains largely unchanged to this day. 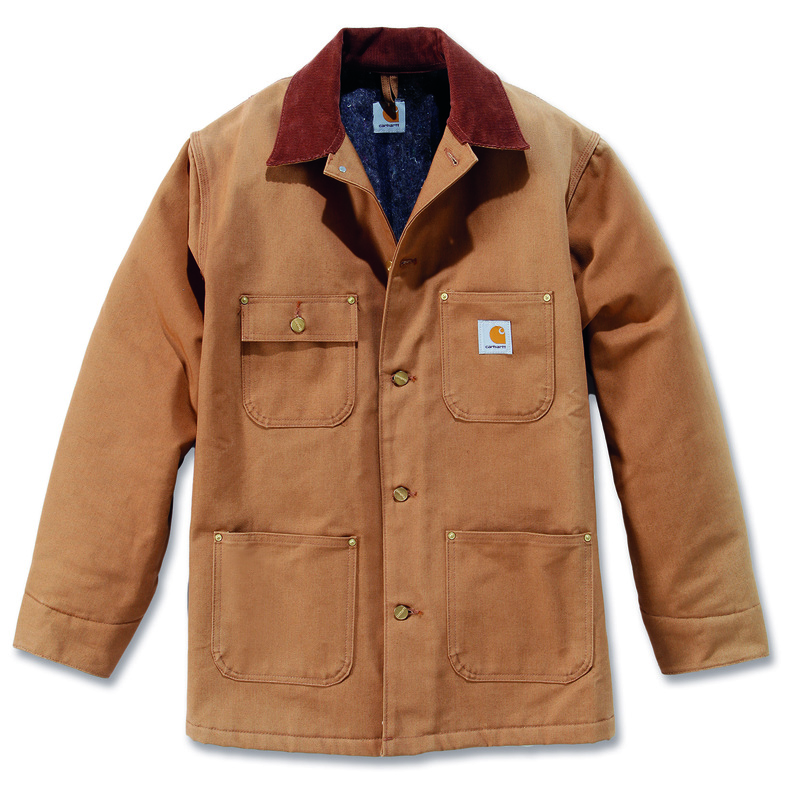 Carhartt started making their Chore Coat in a time honoured simple design, but with lots of attention to detail which makes the coat even better to work in. It was built with features like reinforced seams, watch pockets, deep cuffs and roomier shoulders. 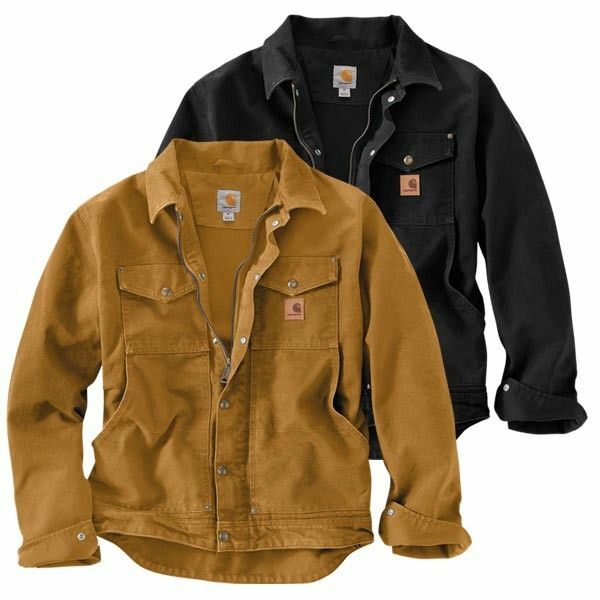 At the time the Chore Coat was made from blue denim, which then later changed to the iconic Carhartt Brown cotton duck that we sell today, a black version followed later. The design remains largely unchanged in almost 100 years - The modern version is blanket lined for warmth and comfort. 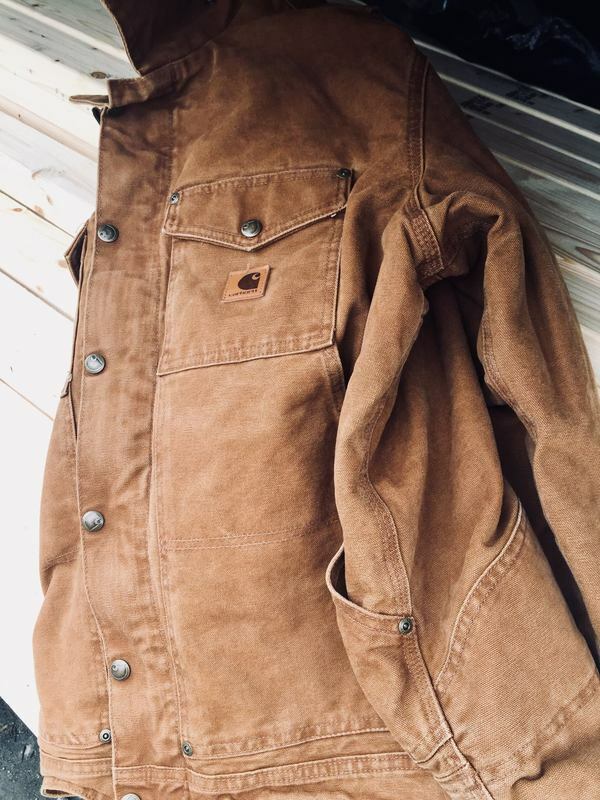 Hamilton Carhartt designed a classic based on a workers staple, and today the design remains faithful to the reason the coat was originally made. Lets see what's 'making waves' at Ocean Supplies! OCEAN SUPPLIES (ST IVES) LTD, registered as a limited company in England and Wales under company number: 04549084. Registered Company Address: The Old School, The Stennack, St. Ives, Cornwall, TR26 1QU.